Welcome to beautiful and historic Seminole Heights! 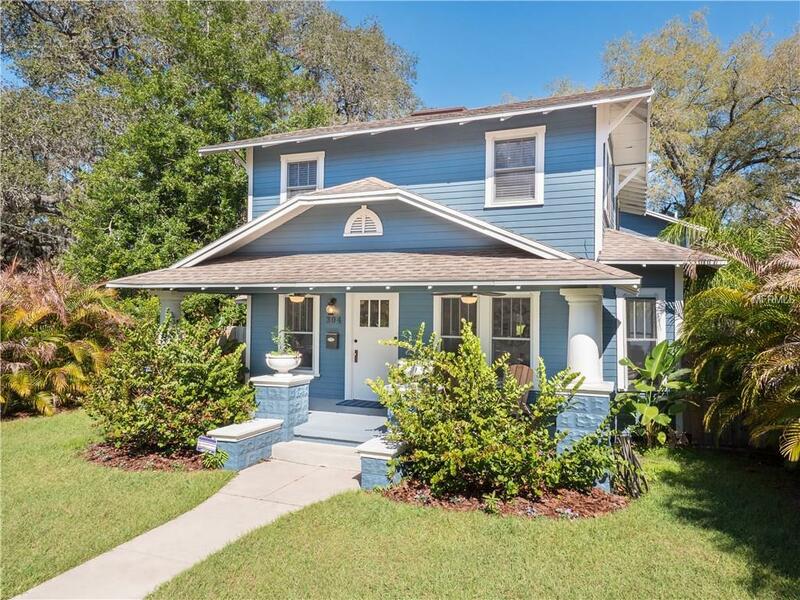 This 4 bedroom 2.5 bathroom house was built in 1923 and although it has been completely renovated, it still holds much of its 1923 charm with original wood flooring and molding. The property includes an income producing opportunity with detached one bedroom apartment with complete kitchen, full bath, living room, bedroom and screened in porch. This apartment is permitted with a separate address for renting. The 3 bedroom 1.5 bath main house boasts an open floor plan between the kitchen, family room and dining room. The kitchen has been updated with all new stainless steel appliances, wood cabinets and marble counter tops. The bathrooms have also been updated and the master bath has a garden tub with separate shower on marble floors. The property has a fenced in back and side yard with plenty of room for pets and entertaining. The double gated fence is large enough to accommodate parking in the yard for a boat or RV. The spacious garage fits 2 large vehicles and has a workshop. Plumbing was updated in 2015. All AC units were replaced in 2017 and UV lights were added to the system to sanitize the air. There is also additional parking behind the garage and on the brick paved street. Buyer to verify dimensions. Listing provided courtesy of Mdm Realty Inc.